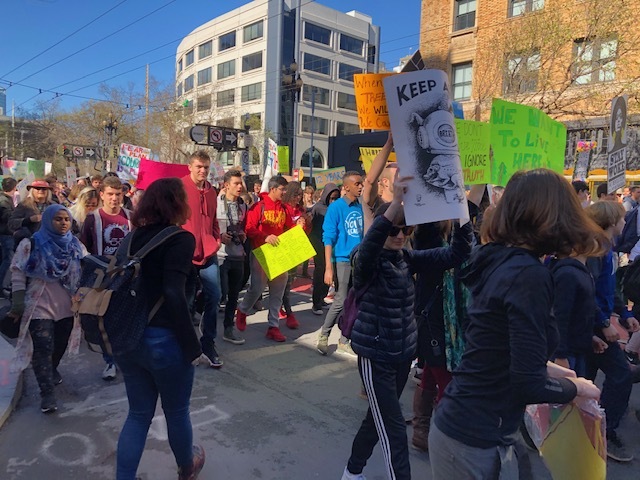 San Francisco, Calif.–On Friday, March 15, a friend of Bay Area News and Letters reported a “cheerful and exuberant rebellion today in the rare San Francisco sunshine. There were grade school kids and high school kids and youth leaders and reporters and photographers. What a turnout! Probably above 1,000 strong. The youth did it all. So many delightful and creative signs. The standard chants and some new ones: ‘Climate change is not a lie, We won’t let the planet die.’ At some point they chanted ‘AOC, AOC, AOC. '” Her participant son said he, his friends and many of his generation have lost all hope for a future. The youth-led march was part of an international day of protest across the U.S. and over 100 countries, inspired by 16-year-old Greta Thunberg of Sweden, who, over six months ago when she was 15, began a regular Friday school strike, demanding action against the growing environmental catastrophe. Thunberg, who educated herself over several years, questions the whole system that brought about what she calls a total “existential crisis.” When in her talks she brooks no compromise with those who draw hope from the last three decades of failed efforts to deal with it, the “adults in the room” can only silently nod in agreement. Greta Thunberg is a unique and remarkable individual but is not unique in seeing the totality of the ecological crisis facing humanity. There are volumes of studies and mass marches raising the specter of a total ecological crisis and the need to totally change the system. 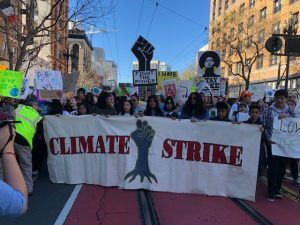 What is different about the global Youth Climate Strike, which Thunberg’s sharp uncompromising focus helped bring to the fore in the global movement against climate change, is a unique youth subjectivity–a generational perspective on the total threat to their future and every future generation of humans. 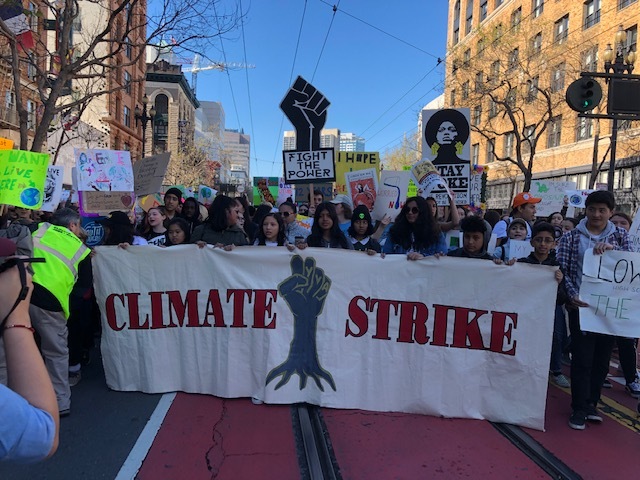 This entry was posted in Alerts & Appeals, Articles and tagged climate change, Greta Thunberg, San Francisco, Youth Climate Strike. Bookmark the permalink. ← March-April 2019 issue of News & Letters is now online!